Early 1998 saw the continued dominance of Titanic at the box office, and many films get crushed in its wake. This included such gems as Hard Rain and Phantoms. 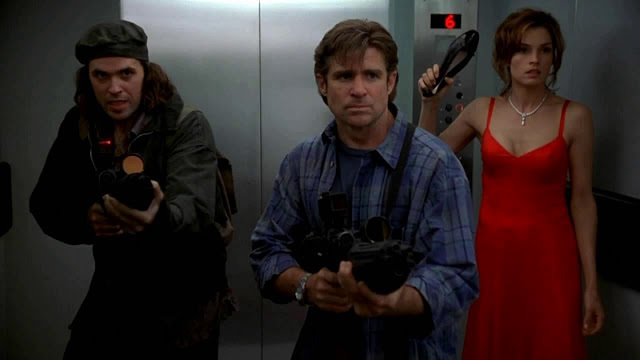 For this month’s Out Now with Aaron and Abe commentary track, the group goes over a film that combines the strengths of all three films mentioned above. 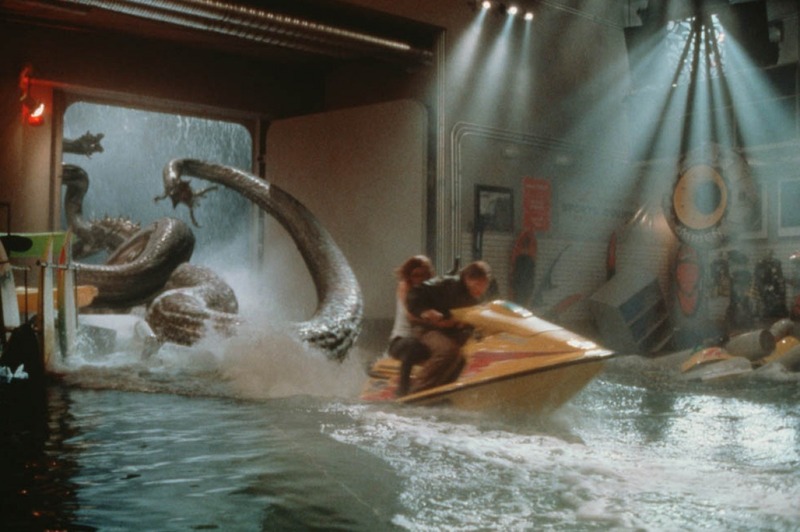 Aaron is joined by Brandon Peters and Jim Dietz to discuss the cruise ship monster movie Deep Rising from director Stephen Sommers. Enjoy as the guys go over the careers of Sommers and Treat Williams, the balancing act of cheesy effects and a strong cast of character actors who would go on to better things, and the joy that comes from so much volumetric lighting. Be prepared to go full scream ahead with this audio commentary, because it’s an absolute blast.